You can get life insurance approval with Coarctation of the Aorta! Have you been declined for life insurance due to Coarctation of the Aorta? 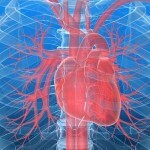 Can Individuals with Coarctation of the Aorta Qualify for Life Insurance? Yes, most individuals with Coarctation of the Aorta will be able to qualify for traditional life insurance, the type of insurance which requires a medical exam. Best Case Scenario – A best case scenario can only be given if your condition was detected early and a successful surgical resection or angioplasty was done. Successful surgery needs to be clinically correlated and must be able to show absence of chronic hypertension or absence of complications to your heart. If symptoms are controlled and complications prevented, most cases have a “Standard” rating. Click here for quote at “Standard”. A “Mild Substandard” rating may be given to you if you have been diagnosed early with Coarctation of the Aorta, but did not require surgery. These cases are usually asymptomatic, but occasionally present symptoms of hypertension when there is increased physical exertion. These cases, however, need to establish the control of the condition and must present diagnostic results that show no progressive damage to the heart or other major organs in the body. Click here for quote at “Mild Substandard”. Moderate Case – Those with complications such as coronary heart disease, but whose symptoms of hypertension are mostly controlled may still qualify for a “Medium Substandard” health class. Click here for a quote at “Medium Substandard”. How many years have you been diagnosed with Coarctation of the Aorta? Coarctation of the Aorta in mild cases may be treated successfully by surgery. And for those cases with successful surgery, a “Standard” rating may apply. Those cases, however, that are detected late in life and the symptoms of difficulty of breathing, dizziness and hypertension are uncontrolled, may only qualify for the “Medium Substandard” rating if there are no known complications to the heart, kidneys and other organs. Symptoms of hypertension, chest pain or shortness of breath within the last six months may be flare signs of the condition. In moderate cases, the best rating you may qualify is at “Medium Substandard,” but further evaluations will be required to establish control of your condition. Do you have symptoms of differing pulse readings? Differing pulse readings in the upper and lower extremities may be serious signs of arterial hypertension. These cases may only qualify for a “Medium Substandard” rating if there are no severe heart complications. Even after a successful surgery, your regular visits to your doctor mean that your condition is controlled and life insurance companies see this as a good sign. You have a good chance of getting the best rating at “Standard” health class. If you have any recent diagnostic test such as CT scan or MRI, it will be the best way to determine your appropriate rating. This may confirm your compliance with your physician’s management and the absence of complications. Other medical conditions such as mitral valve abnormalities or other heart conditions, endocrine disorders such as hyperthyroidism or diabetes, may aggravate your hypertension and may be given a higher rating or in very serious cases, a decline. Coarctation of the Aorta is also known as aortic coarctation. It is a genetic disorder where there is narrowing of the aorta as a result of an underdeveloped ductus arteriosus. There are three types of this disorder that are described according to their location to the ductus arteriosus; first, which is the nearest and is the most life threatening is called pre-ductal coarctation (this condition is commonly seen in children with Turner Syndrome); second is ductal coarctation, which is located just at the insertion of the ductus arteriosus; and last is the post-ductal coarctation, which is the most distal and is commonly seen in adults. Signs and symptoms of Coarctation of the Aorta depend on the type, but usually the milder ones remain asymptomatic. The most common symptoms in mild cases include: difficulty of breathing, failure to thrive, poor feeding in children and poor appetite in adults. In moderate cases, symptoms may include impairment of blood flow and heart enlargement. This may be accompanied by dizziness, fainting episodes, shortness of breath, general fatigue or weakness, headache, chest pain, nose bleeding or differing pulses in the upper and lower extremities. These cases may also show signs of intermittent claudication and cold hands and feet. In serious cases, heart conditions or arterial hypotension may begin to manifest as early as infancy. These symptoms could include blood pressure or pulse pressure differences in the upper and lower extremities. The most common complication of Coarctation of the Aorta in adult is hypertension and coronary artery disease. 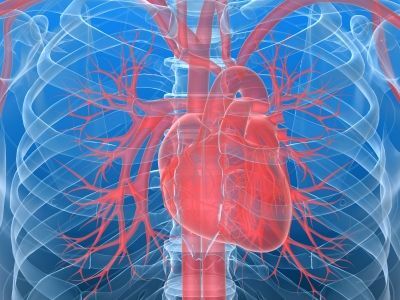 See our other articles on Heart Conditions and CLICK HERE!